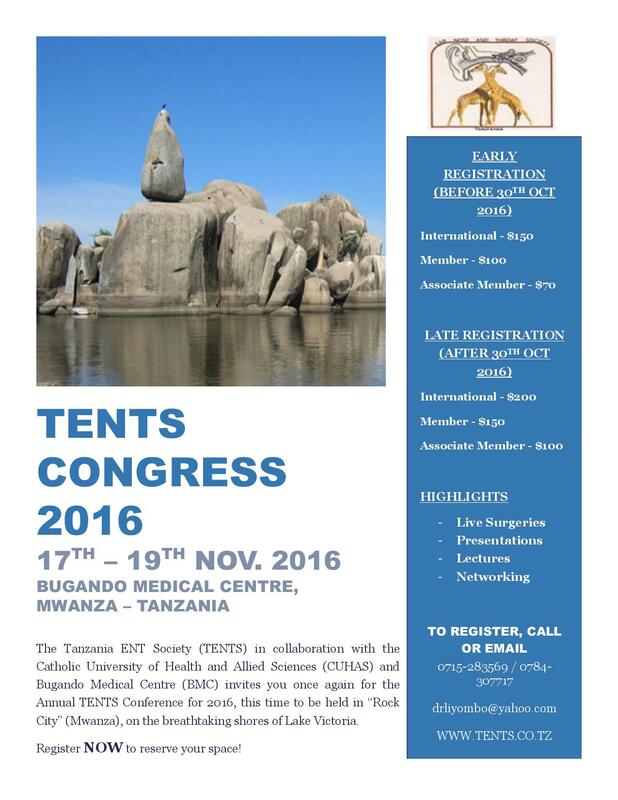 The Tanzania ENT Society (TENTS) holds a members’ conference annually. Since the members who form the TENTS are from different geographical locations, at each TENTS conference the venue for the next conference is decided. 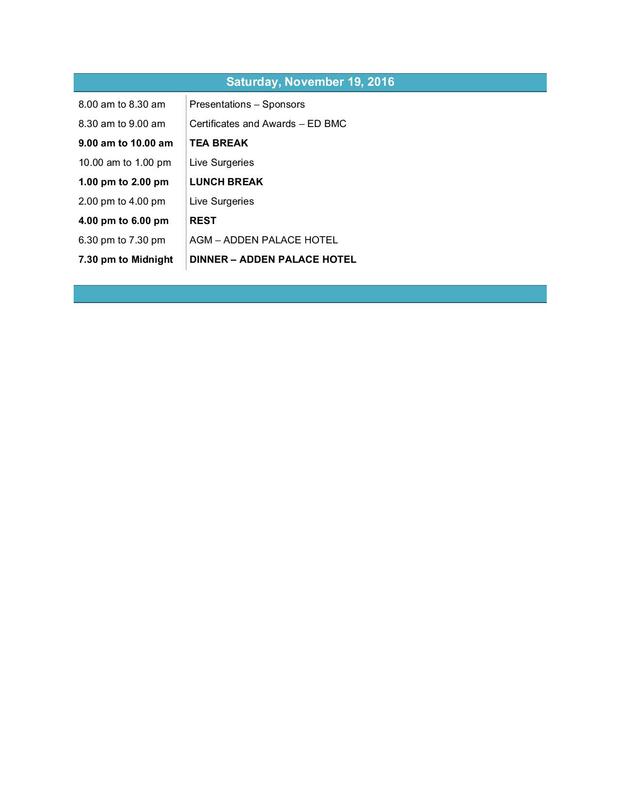 The annual conference brings together the members and stakeholders from all over Tanzania. A theme is set for the conference and scientific papers and presentations are presented by various professionals. Members discuss the activities that need a highlight or further discussions and share their experiences at this platform. New initiatives are also discussed and planned at these meetings. Some of the other agendas include ethics in the profession, standards of practise, training, education and engagement of other professionals related to the field. The TENTS Conference is an annual event that brings together all members of the TENTS. 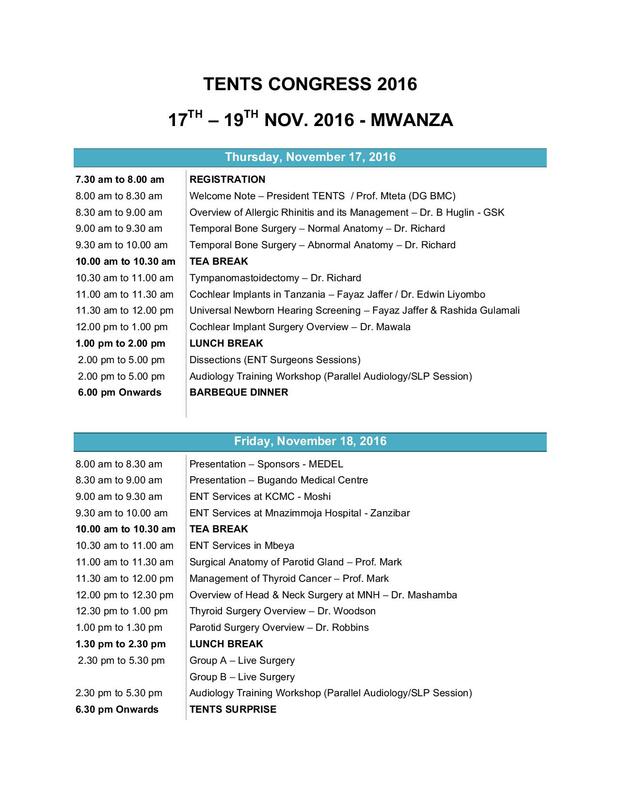 This year, TENTS Congress 2016 will be held at Bugando Medical Centre (BMC) in Mwanza which is the referral hospital in the city. The planned date for the conference is from 17th-19th Nov 2016. Known as the “Rock City”, Mwanza is a perfect venue for such a Congress. The popular Bismarck Rock is just at the bay of the magnificent Lake Victoria. This is just one of the attractions that draws travellers to this city. There is a lot this city offers which is worth exploring. Lost of exciting activities have been planned for this year including Interactive Presentations, Live Surgeries, Lectures and much more. This year’s annual conference will have a blend of local and international participants resulting into a one of a kind experience that is not to be missed! Prof. Gayle E. Woodson, MD – Professor or Otolaryngology, Southern Illinois University; School of Medicine, Springfield, USA. Dr. Kevin T. Robbins, MD – Executive Director and Professor, Emeritus Simmons Cancer Institute, Southern Illinois University; School of Medicine, Springfield, USA. Prof. Mark Zafereo, MD – Head and Neck Surgeon, Anderson Cancer Center, Huoston, Texas, USA. Mr. Mohamed El Disouky – Africa Development and Regional Manager, MEDEL (Cochlear Implants), Egypt. Dr. Manish Goyal, MS (ENT) – Endoscopic Sinus Surgery and Sleep Apnea Specialist Surgeon, Ahmedabad, Gujarat, India. Prof. Ndeserua Moshi, MD – Professor of Otolaryngology, Muhimbili University of Health and Allied Sciences, Dar es Salaam. Dr. Edwin Liyombo, MD – Endoscopic Nasal and Paranasal Sinus Surgeon, Muhimbili National Hospital, Dar es Salaam. Dr. Enica Richard, MD – Endoscopic Nasal and Paranasal Sinus Surgeon, Muhimbili University of Health and Allied Sciences, Dar es Salaam. Dr. Kassim Naufal, MD – Otolaryngologist, Mnazi Mmoja Hospital, Zanzibar. Dr. Victor Mashamba, MD – Head and Neck Surgeon, Muhimbili National Hospital, Dar es Salaam. Mr. Fayaz Jaffer – Hearing Instrument Specialist & Cochlear Implant Consultant, HearWell Audiology Clinic, Dar es Salaam. 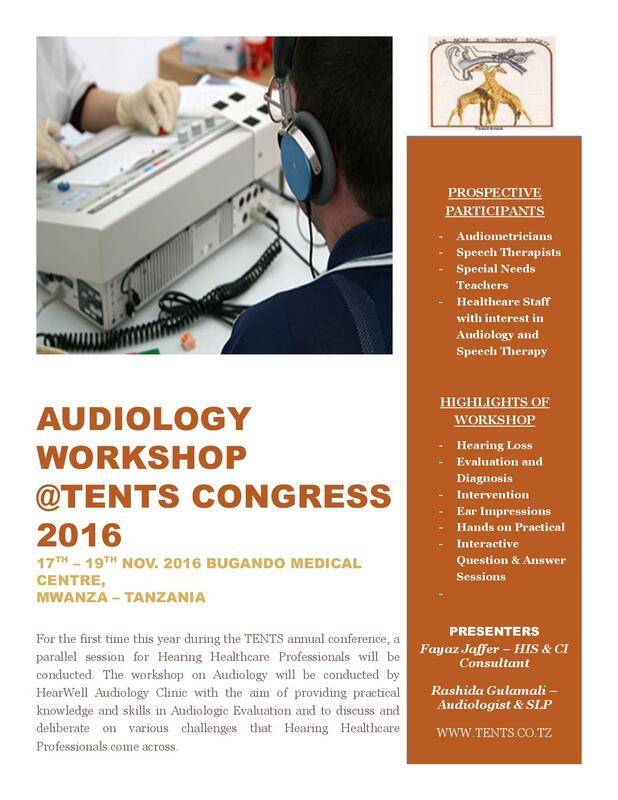 In addition to the normal proceedings of the TENTS Congress, this year, a parallel Workshop on Audiology will be conducted courtesy of HearWell Audiology Clinic with the aim of promoting standards of practice and building interest in the field of Audiology in Tanzania. Please click the posters below for registration, event details and tentative program.